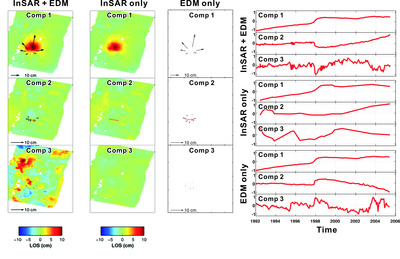 This study demonstrates the interest of using a Principal Component Analysis-based Inversion Method (PCAIM) to analyze jointly InSAR and ground-based geodetic time series of crustal deformation. 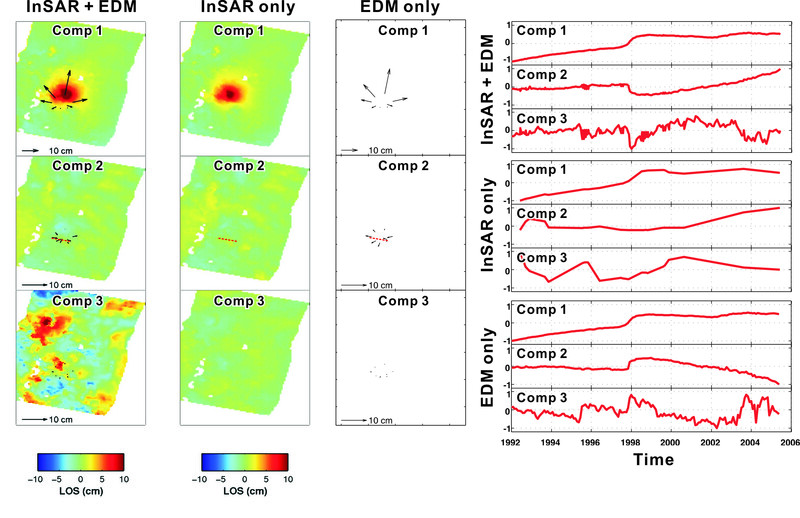 A major advantage of this approach is that the InSAR tropospheric biases are naturally filtered out provided they do not introduce correlated or high amplitude noise in the input times series. 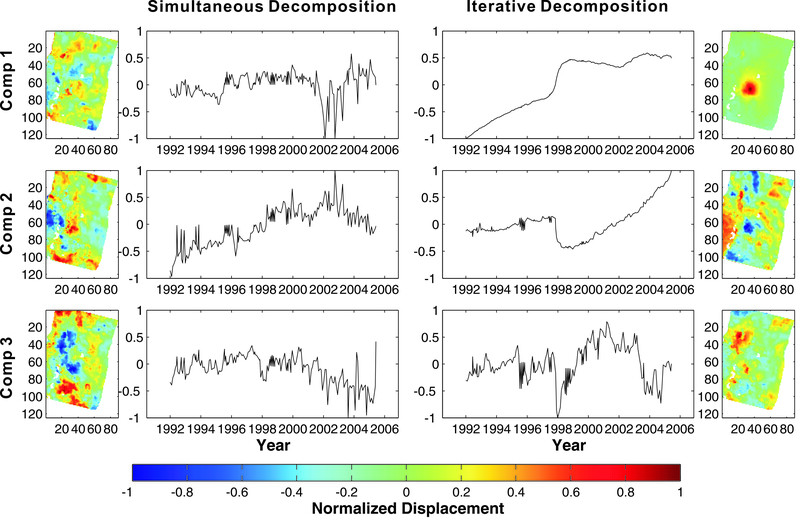 This approach yields source models which are well-constrained both in time and space due to the temporal resolution of the ground-based geodetic data and the spatial resolution of the InSAR data. The technique is computationally inexpensive allowing for the inversion of large datasets. 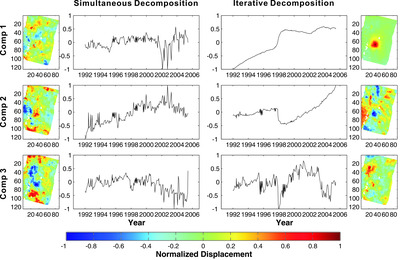 To demonstrate the performance of this approach, we apply it to the 1997–98 magmatic inflation event in the Long Valley Caldera, California. © 2011 American Geophysical Union. Received 8 October 2010; accepted 26 October 2010; published 3 December 2010. We thank Mark Simons for providing the SAR data used in this study. APK thanks Tapio Schneider for helpful conversations. This research was partially funded by the Gordon and Betty Moore Foundation and by the Keck Institute of Space Studies. It is Caltech Tectonics Observatory contribution 137.